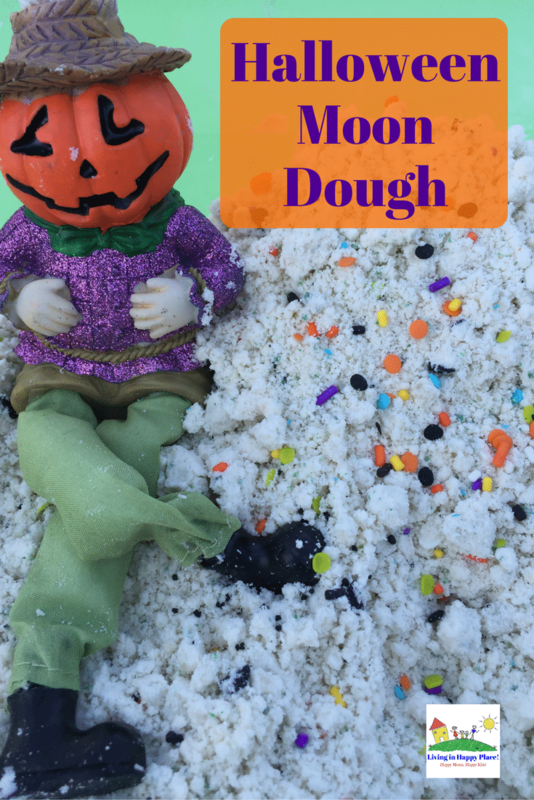 Sneak Preview: Switch up that boring old moon dough recipe to a Halloween Moon Dough that smells AMAZING and is spooky sensory fun! Witches, bats, and monsters oh my! Im pretty sure moon dough is addictive. It is so soft! Everyone who has played with it says it’s hard to stop touching (even adults). I have also heard this recipe called cloud dough and I can see how this might “feel” like a cloud. That is why is it such a great sensory activity. Sensory play includes anything that stimulates a child’s senses through touch, smell, sight, taste, or hearing. It is important in child development for many reasons, but here is a very simple explanation: Soft is just a meaningless word to a developing child. 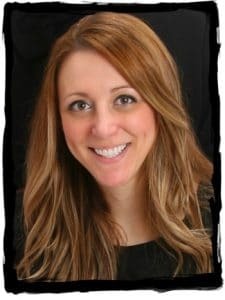 Being able to touch something soft and hear the word soft helps them make a cognitive connection. They start to understand what “soft” means. Mom holding up a book and saying “book” is sensory learning through seeing and hearing. A bubble becomes a bubble by seeing it shine and feeling its slimy texture. This exploration is how children learn about the world. 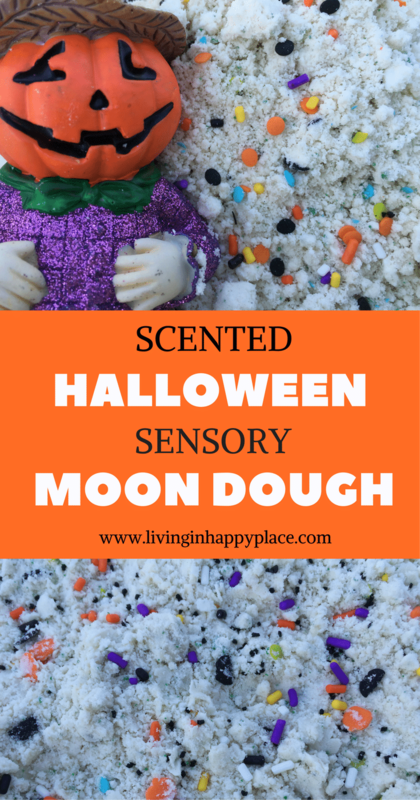 Sensory activities such as playing with moon dough are perfect ways to foster their development. Now let’s make some moon dough! There isn’t much of a recipe instruction here. Simply dump all ingredients in a large bowl or tub and mix together. I use a spoon at first and end up mixing with my hands (I don’t mind!). You can stop mixing when most oil clumps are gone. You will smell the Kool-Aid as soon you start to mix. It doesn’t seem to change the color but the smell is amazing! The moon dough recipe is 8 parts flour, 1 part baby oil (or vegetable oil for taste-safe recipe) so you can easily adjust the recipe as needed. 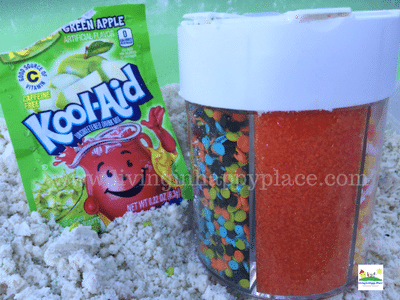 Use any flavor (scent) of Kool-Aid your kids love. 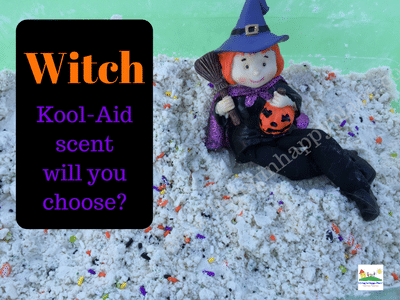 The green apple seemed fall/Halloween-ish and really gave off a strong scent. You can always use less for a more subtle scent. Don’t you just love when play is actually learning too? Give the kids spoons, small shovels, and molds to play and explore( and learn!). You worked really hard so now you deserve a Halloween treat! While you have the sprinkles out, try these easy Halloween Rice Crispy treats! 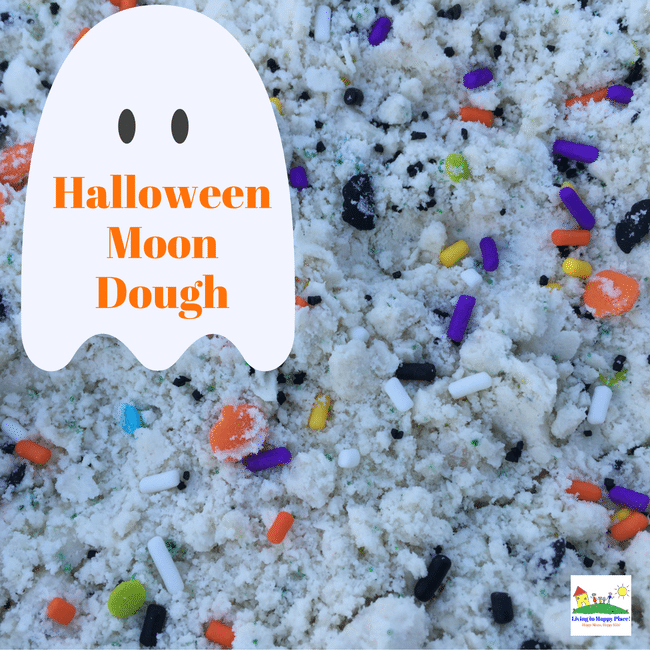 Remember to share or Pin this Halloween Moon Dough recipe for safe keeping!